Among the advantages derived from our Certification of Authorized Economic Operator, Agencia Paublete, S.L., is in a position to carry out dispatches by any National Customs, under the so-called NATIONAL CENTRALIZED OFFICE. This figure allows us to dispatch the goods that are in any port, airport or facility enabled, performing all the documentary procedures and physical controls that may be necessary. In this way, and thanks to our “ESTATUS O.E.A.”, we can at national level present the DUAs of their merchandise, regardless of the physical location where they are. In a period not very distant of time and as soon as the computerized systems of the European Union are operative, we hope to be able to offer them the European Centralized Office, being able to present the declarations in any customs of the Community scope. 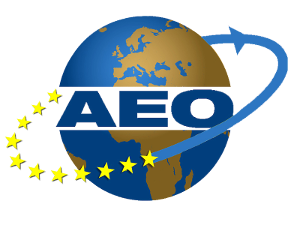 A.E.O. POLICY Focused on increasing our competitiveness in an increasingly demanding market, it allows us to streamline customs procedures on behalf of our customers and increase security within the logistics chain to which we belong. We understand compliance with the requirements defined by the Customs Department and II.EE. As one of our basic principles of action.